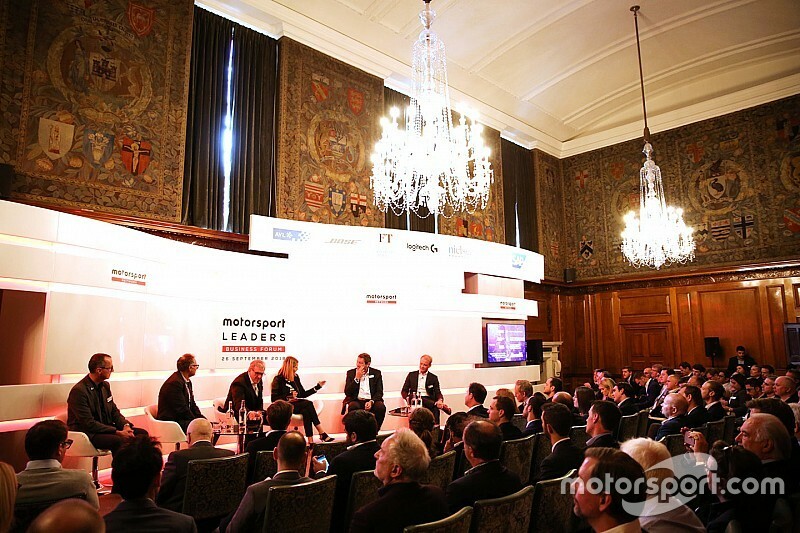 London, UK - September 28, 2018 - The inaugural Motorsport Leaders Business Forum hosted by Motorsport Network on Wednesday in the City of London offered a prospective view of the future horizon of motor racing through the collective views of industry practitioners and panelists spanning technologists, promoters, gamers, media owners, futurologists and athletes from the real and virtual world. Across four panel sessions precursored by a video address from the FIA President, Jean Todt, who championed ideas as the ‘fuel of improvement’, industry luminaries considered a variety of forward-facing hurdles the sport is navigating, from the advance of the autonomous vehicle to methodologies to embrace esport and where considerations including media consumption and sponsorship sit among these shifting paradigms. The morning’s sessions brought together established practitioners from the global motorsport industry with their colleagues at the vanguard of the digital revolution. Among those speakers challenging the status quo were Rod Chong, the Deputy CEO of virtual racing technologists, Roborace, who foresees an era of substantive digital enrichment for race fans at trackside through immersive augmented and extended reality experiences to Rupert Svendsen-Cook, the Founder of Veloce Esports, who encouraged race series promoters to appeal to the cultural norms of gamers rather than aim to transfer racing rules and standards into the virtual world. While some of the panel sessions sought to forecast the likely future direction of digital advance, some of the other plenary sessions considered how existing practices in sponsorship and media consumption that sustain motor racing could adapt in the face of digital disruption. Gareth Balch, the CEO of Two Circles, a data driven sports agency outlined the immediate panacea of increased media fragmentation as social media networks enter the rights holder and broadcast space alongside his colleagues Scott Young, the Head of Sky F1, Manel Arroyo, the Managing Director of Dorna Sports & MotoGP and Frank Arthofer, the Global Head of Digital and New Business for Formula 1. Meanwhile, a seasoned panel of experts in sport sponsorship including Bijaya Basu, who leads Tata Communications’ F1 engagement, Arjan Sissing, Senior VP of Corporate Brand Marketing at DHL, Zak Brown, CEO, McLaren Racing and Stéphane Ratel, CEO of SRO considered antidotes to the demise of the title sponsor. “This is the right platform to discuss important matters and talk about the future, develop the right products and the right partnerships - I just loved it, it has been great,” said Andreas Schicker, Head of Esports Business Development at Logitech. As the Motorsport Leaders Business Forum, attended by 150 leaders from across motorsport and allied industries wrapped up in the City of London on Wednesday, Motorsport Network’s President, James Allen said, “I think it’s been a really good day and a great demonstration of Motorsport Network’s convening power - only we could bring together leaders from the different stakeholders from all the different series, brands and manufacturers for a day of thought-leadership, discussion, networking, and looking to the future of our sport. “What has been a revelation for us all is the extent to which esports has dominated the agenda today. It shows you how much people are considering the threats and opportunities that come from a whole new world with nothing to do with physical cars but a representation of racing in a whole different way. And that’s proof positive of the value of this event in surfacing issues with which the industry must engage.